"Unique, Personalized, Hand Crafted, Folk Art"
CustomWalkingSticks.com is offered by Artisans of the Valley, a specialized website featuring our original Walking Sticks & Canes and restoration services. This site interlinks with our main website offering the full spectrum of our products and services. We'll be expanding our walkingsticks site soon! 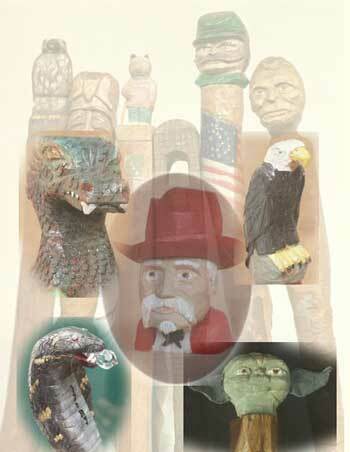 Check out Page 2 of Artisans Quarterly Review Vol 2 Issue 2 - 2009 to see a feature article on Master Woodcarver Stanley Saperstein in Woodshop News! Open by appointment, please call ahead 609-637-0450.